Get on the boat, and sail your way into a successful event. 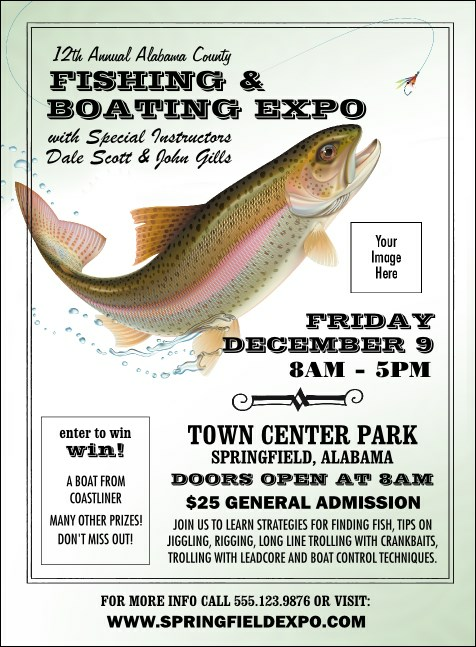 When you have a big exhibition to plan, the Fishing and Boating Expo Invitation helps you inform and invite attendees. Get guests excited with the image of a trout with its sights on a dry fly. Each template has space for your custom information. Catch plenty of guests with Matching Event Kits from TicketPrinting.com.